RCT is required when the tooth in question is either infected (abscessed) or severely inflamed. The only alternative option is to extract the tooth. Cracks in teeth and under fillings can cause a tooth to become abscessed or inflamed as well. 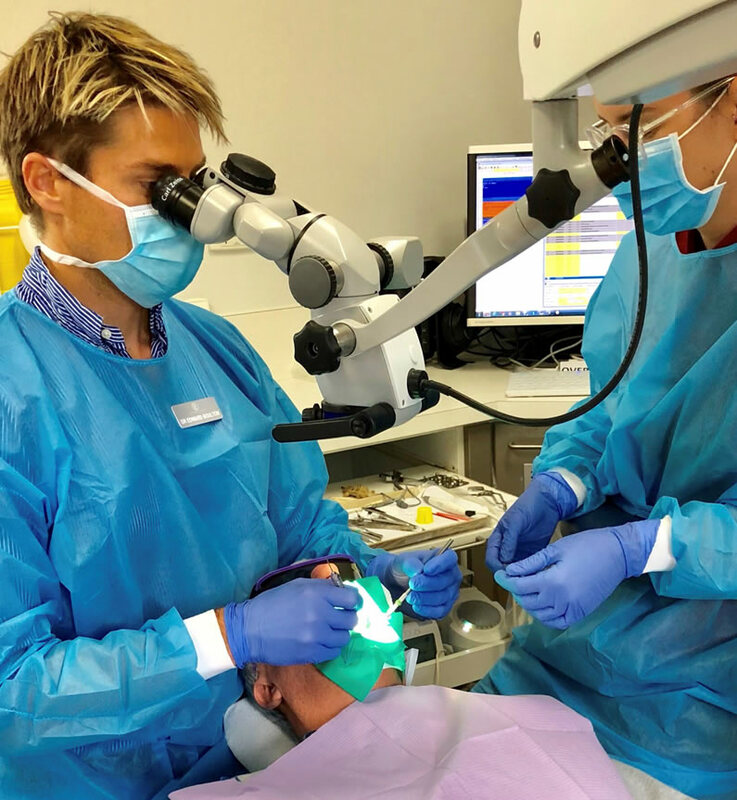 In root canal therapy, we make a small opening to where the tooth’s nerves and blood vessels are. We clean the space, dress it, seal it and cover it with either a filling or a crown to strengthen. 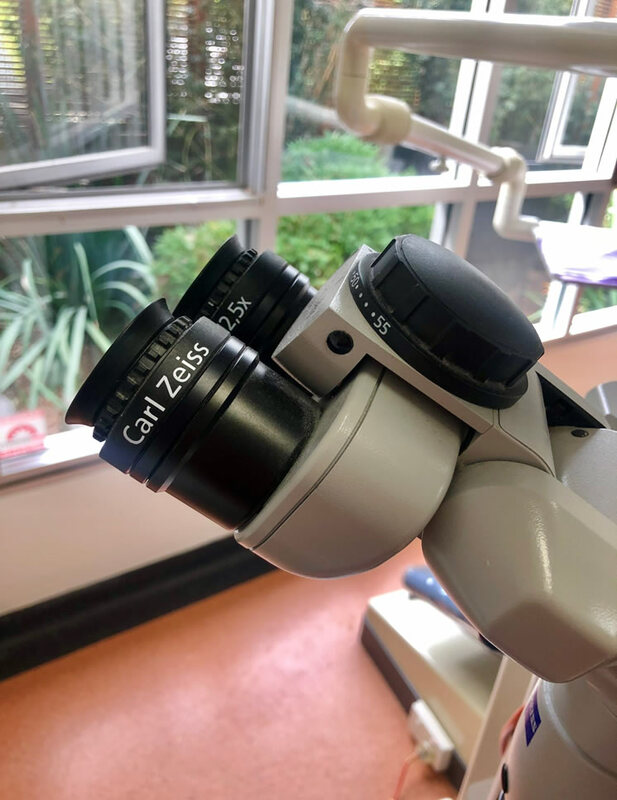 Here at Paul Beath Dental we use a Zeiss microscope to assist with root canal therapy, which improves accuracy of treatment.